Serve this platter and it’ll be prime time for compliments. 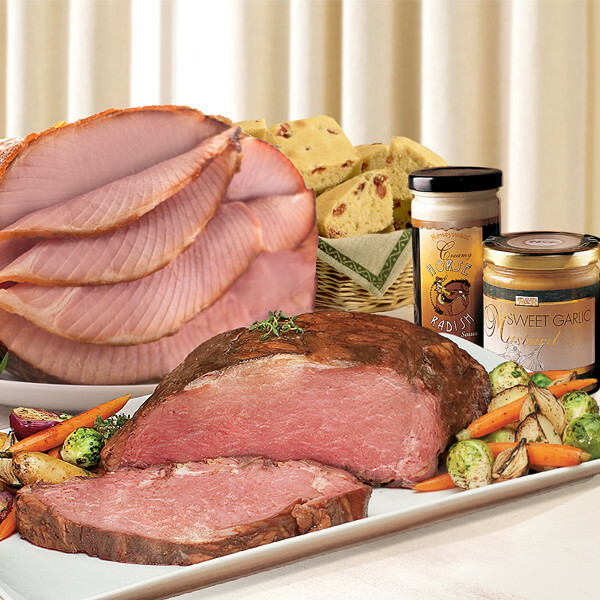 It's HoneyBaked’s unique Prime of Your Life Platter®, featuring our succulent Prime Rib, aged to perfection and roasted just right. It comes paired with a 7Lb. 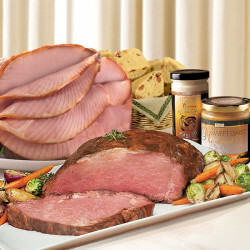 HoneyBaked Ham®; our scrumptious Cranberry Cornbread Mix; a gourmet mustard; and a jar of our zesty Horseradish. 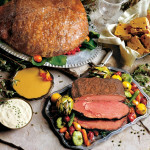 If you really want to impress, this meal is ready for prime time.